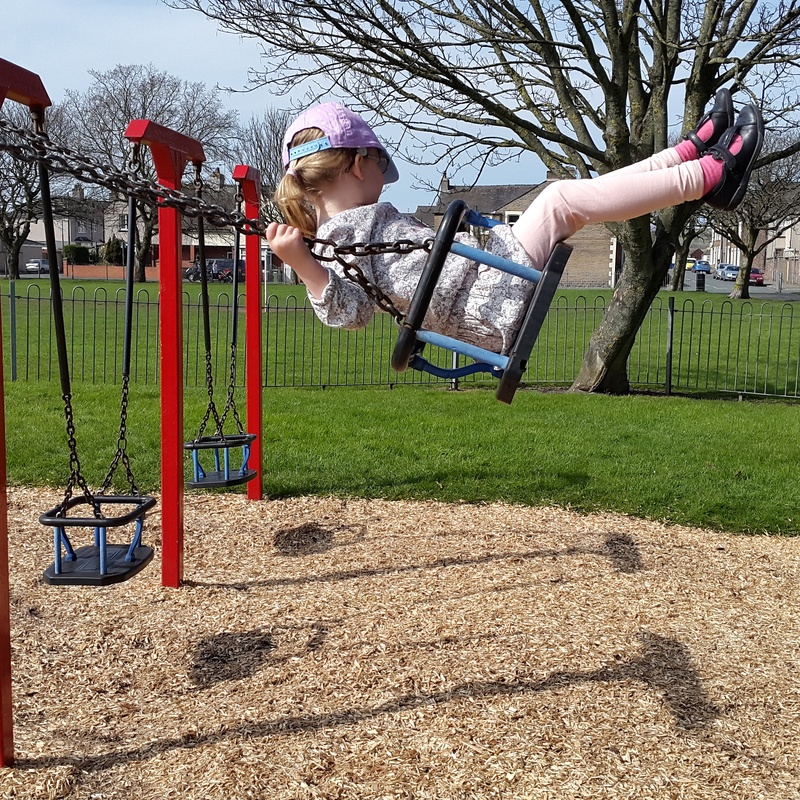 We made the most of the beautiful weather this week (before it turned to torrential rain) and had three trips to the park. 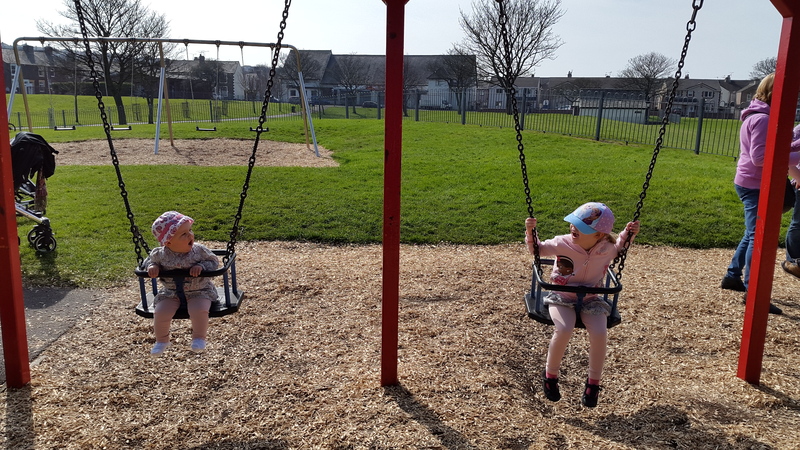 Izzy got to run off some energy and pretend she was a Ninja (yes, Ninjas are the big thing in our house at the moment) while Clara got to go on a swing for the very first time. She wasn’t too sure what to make of it at first but then, gripping on tight, she started to giggle everytime the swing moved. I hate driving through the car wash (it’s a weird, irrational fear), so I put Izzy to work suggested a really fun game of ‘clean the car’. Which went down surprisingly well. Of course we both got soaked and I then had to bath Izzy once we had finished but it was a fun and productive way to fill a sunny afternoon. 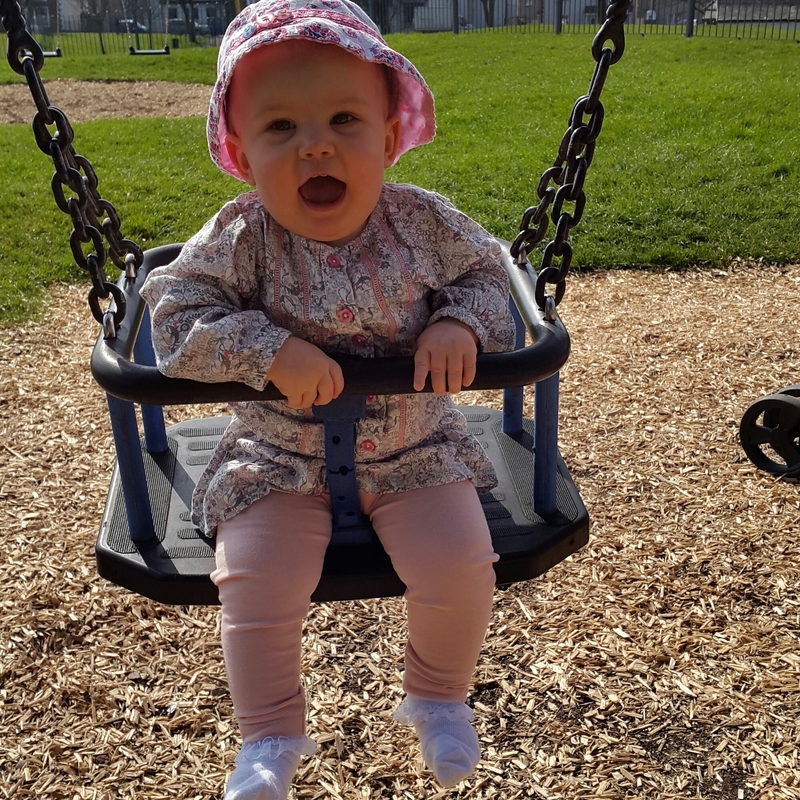 Clara, who is 10 and a half months now, weighs 19 pound and 3 ounces, which is perfectly average for her age. This is the first time she has been weighed since her 6 week check up but as she eats well and has some chunky sturdy little limbs I’ve never been concerned about her weight. 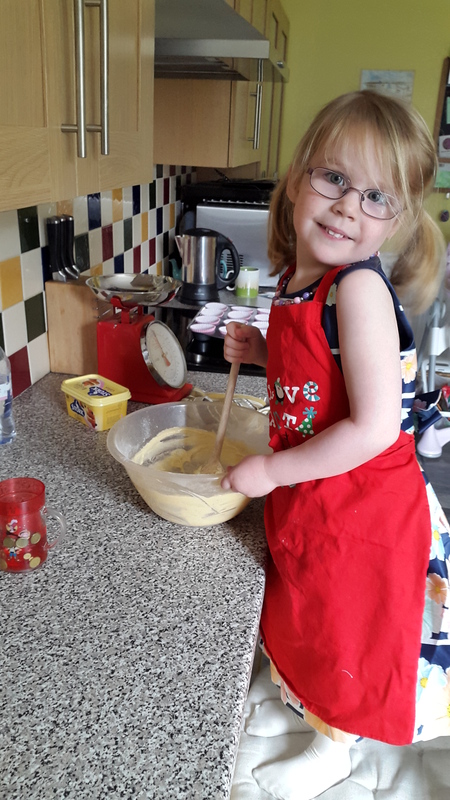 Everything else checked out fine – we went through some questionnaires that I had filled out beforehand and Clara is on track with her communication, social and physical development. 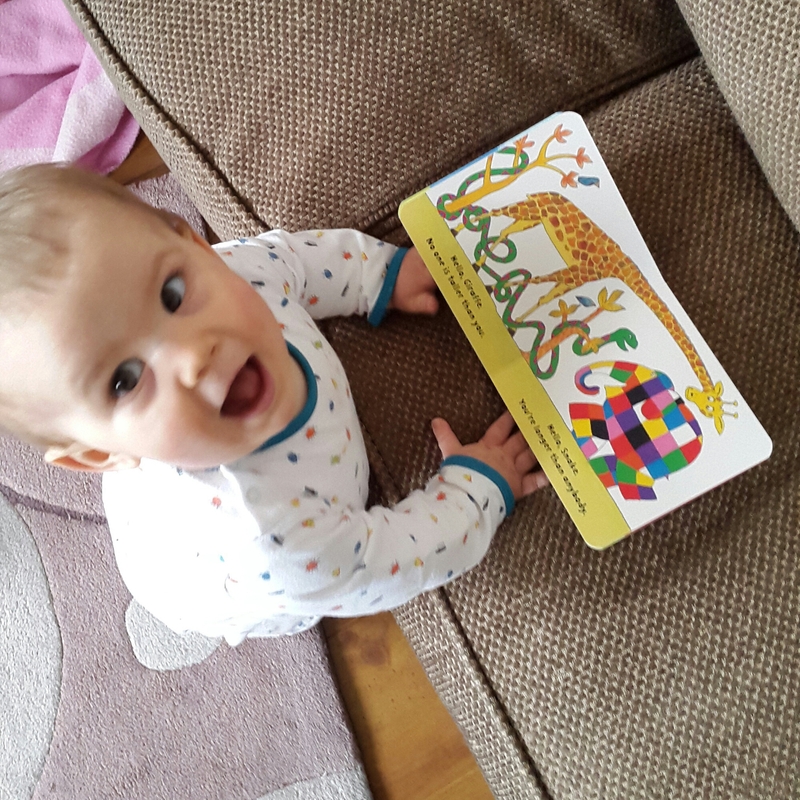 She got a Bookstart bag with a couple of books in it and she has been enjoying the Elmer one loads, though Izzy has already claimed the bag as she wants one for her library books! 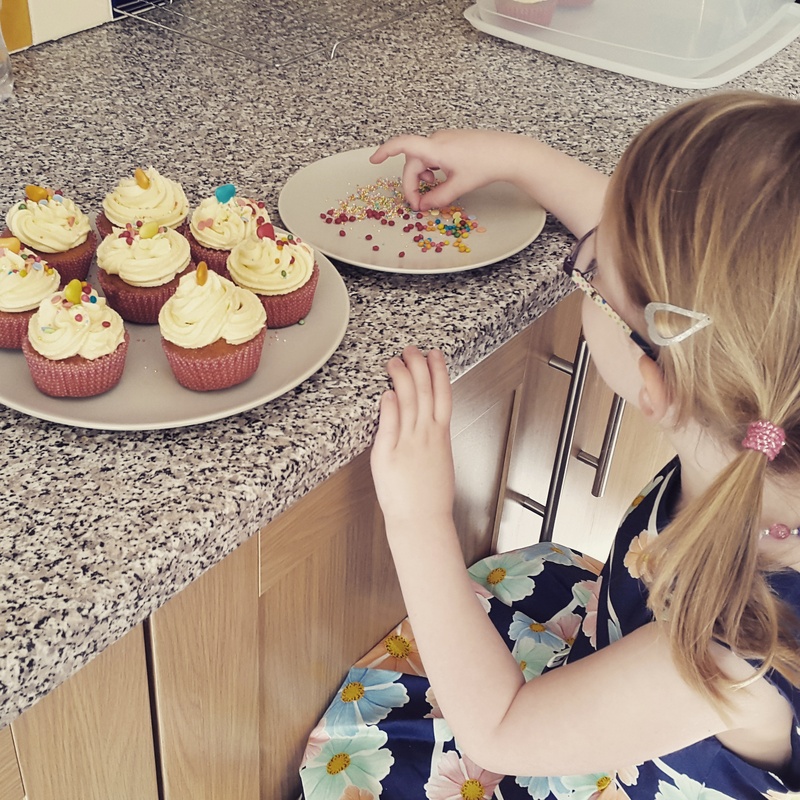 Making cupcakes kept Izzy occupied while Daddy watched the football.